This sake is brewed in the middle of winter using the Kimoto method. Dating back a hundred years, this method lets us make the best use of our ingredients and our environment. 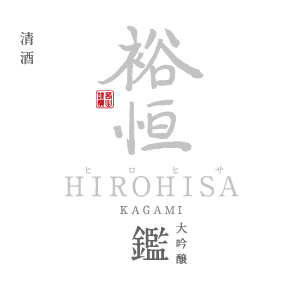 The Kimoto method begins with propagating the lactic acid bacteria needed to brew sake. so the resulting sake lets you savor the rice in its original glory. Fermentation is conducted in close consultation with nature to leverage the quality and the environment of that year’s rice. This lets you enjoy sake that brings out the optimum flavor of its ingredients depending on the year in which it was brewed. All ingredients are sourced from our own Ishikawa Prefecture. The rice-polishing ratio is 70%. Enjoy it warmed or at room temperature. We suggest serving it in a hira-hai (shallow sake cup). The Kimoto method embodies Japanese wisdom, but the method through which the principle of fermentation was elucidated and discovered is the Yamahai method. so we perceive it to be the most technically challenging method. and we strive to make it a sake that our neighbors will feel good about. and alcohol is added. It tastes wonderful from a cup, and warming it brings out even more of its texture and umami. 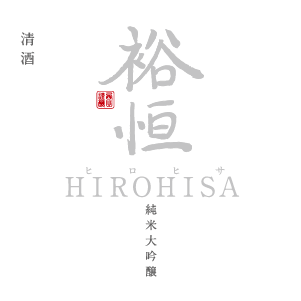 This is the culmination of the sakes bearing the name of our brewer, Hirohisa. Every year, he tests the limits of nihonshu – spirits distilled from rice, or sake – based on his brewing techniques. this expresses the limits of how we can retain the essence of sake even if the rice has been highly polished. after the rice has cooled require naturally cold temperatures. That is why we only do preparation once during midwinter. This sake is brewed at the same time as Junmai Dai-Ginjo. considered the sake that expresses the original technique of our brewer Hirohisa for producing consistent quality every year. 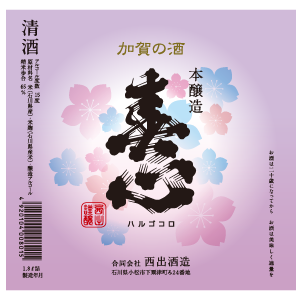 We recommend it as a mealtime sake for its fragrant aroma, its flavor and delicacy, and its approachability. The rice-polishing ratio is 40%. Enjoy it chilled. Keep refrigerated. Enjoy it from a wine glass to savor its aroma. 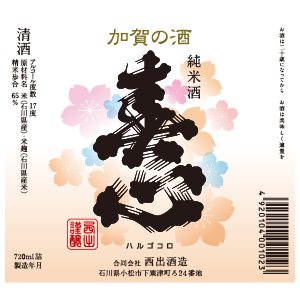 This sake was brewed using fermented yeast from the double cherry blossoms that bloom in Kenrokuen Garden in Kanazawa. Due to the time and effort required to cultivate natural yeast, it is not prepared in large amounts. That is why this is a limited edition. The gentle aroma conjures cherry blossoms and its sweetness will remind you of a pleasant spring afternoon. The rice-polishing ratio is 60%. Warm slightly before drinking to best enjoy its full aroma. 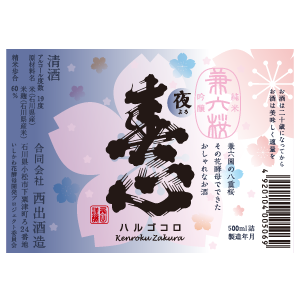 The rich aroma conjures cherry blossoms and its dry, crisp flavor will remind you of a spring evening. The rice-polishing ratio is 60%. Enjoy it chilled. one of Japan’s sacred mountains. 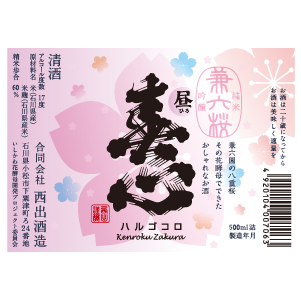 As it uses natural yeast like Kenroku Sakura, it is a limited edition. This sake will be released in July during the start of climbing season at the mountain, so it will be shipped for a limited time. Enjoy it chilled in a glass. ◎Sake is sold at our store or can be shipped locally.